Because the reduction of nitrite oxide is critical and necessary step for cured meat color development and probably for several other cured meat properties as well, the use of reducing compounds and acidulants has become an important part of meat curing. 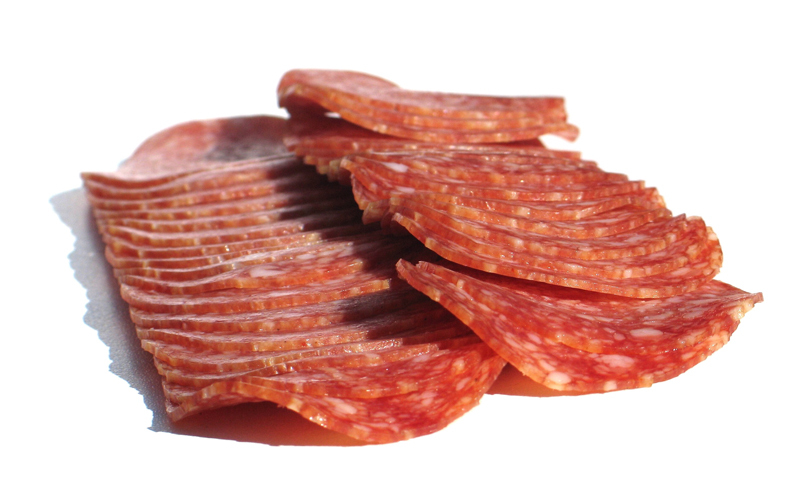 Ascorbic acid, sodium ascorbate, erythorbic acid, and sodium erythorbate are reducing compounds that are widely used for cured meat processing. These reductants are particularly advantageous for high volume, rapid processes, and have enabled the development of high-speed, continuous processing lines because less time is required for nitric oxide production before cooking and color fixation. They are sometimes coupled with acidulants in comminuted products, a combination that can dramatically accelerate production of nitric oxide from nitrite. Fumaric acid, sodium acid pyrophosphate, and glucono-delta-lactone are compounds that may be utilized as acidulants if very rapid reduction of nitrite is desired.